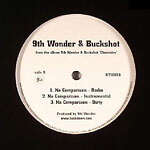 The first single from Buckshot's album, Chemistry. All production by Little Brother's 9th Wonder! This single is fire!